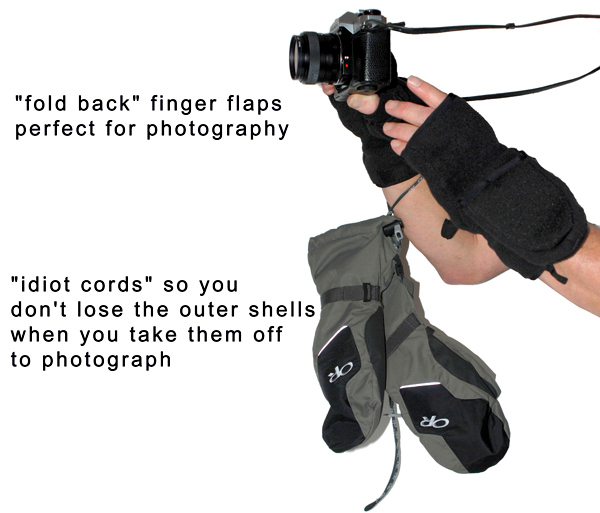 These Waterproof Mittens offer the ultimate in versatility and are a photographer's dream! 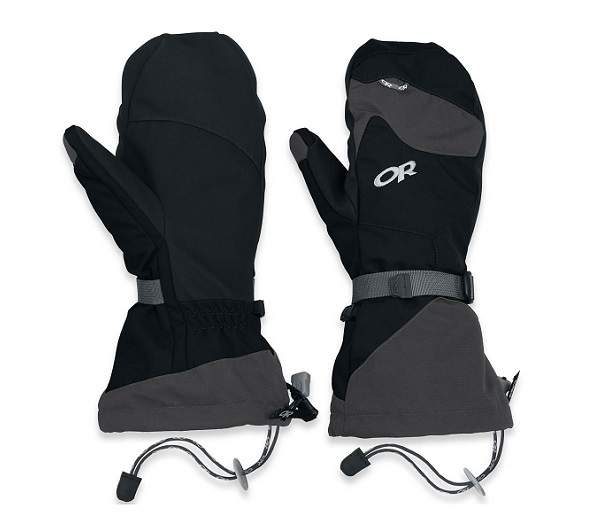 The outer mitten is waterproof and insulated with "idiot cords" so you don't lose them when you take them off. 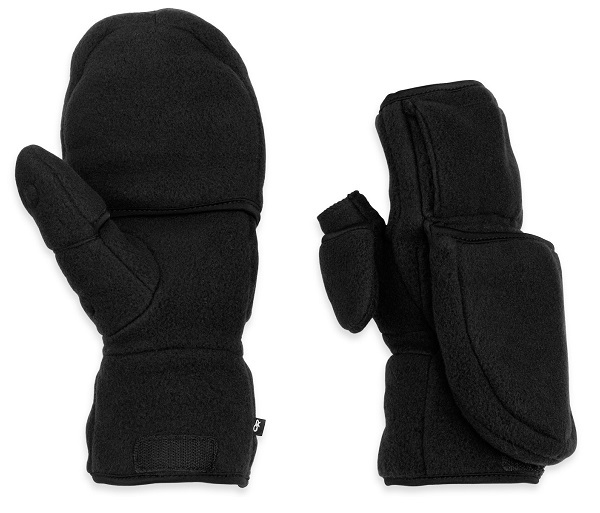 The 300 weight fleece liners are detachable and have "fold back" finger flaps - perfect for handling your camera in the cold. 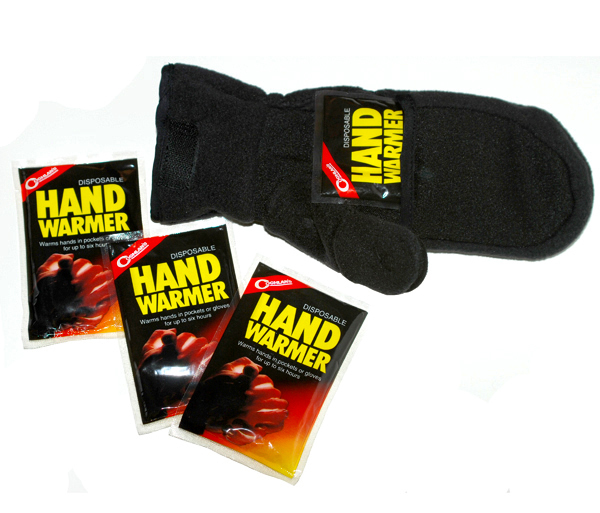 The set features everything you need for a cold weather expedition! 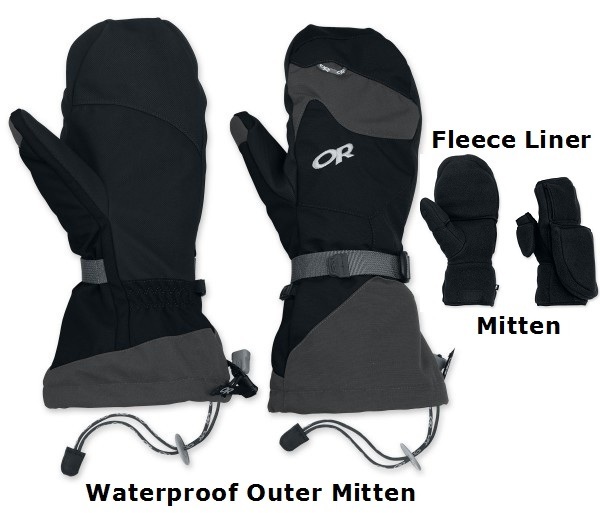 Wear the waterproof outer shell and "fold back finger flap" mitten liner together as one unit, or separately depending on the weather conditions and the amount of protection and insulation needed.